Even with healthy diet and exercise, some patients may accumulate fatty tissue in the neck area. Fat in the neck can detract from the appearance of the entire body, making a younger person seem older, or a fit person appear out of shape. 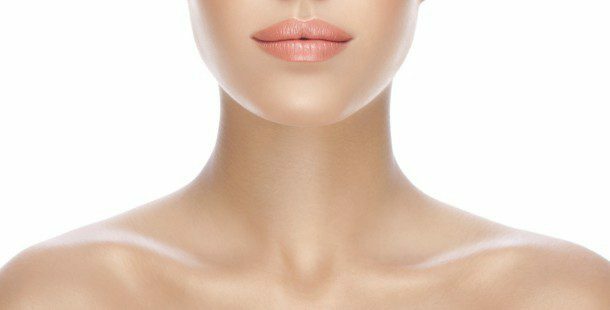 Neck Liposuction can reveal a streamlined neck contour, enhance facial features, and improve the profile. Specializing exclusively in cosmetic procedures of the head and neck, neck liposuction with our Facial Plastic Surgeon Dr. Bassichis has a particularly high patient satisfaction rate. Performed as an outpatient procedure or in the surgery center, the unwanted fatty tissue is gently removed by vacuum suction through very small incisions hidden inconspicuously beneath the chin. With Neck Liposuction, Dr. Bassichis artfully improves the neck contour in two ways: volume reduction and tissue tightening. After the fat has been removed, a compressive bandage is worn for a few days to encourage the skin to ‘shrink’ and reshape to the new contour of the neck. 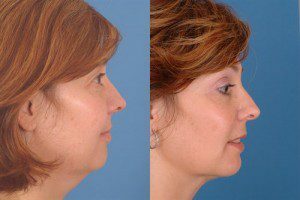 This procedure is most successful in individuals that have good neck skin tone and elasticity, allowing the skin to effectively re-drape after adipose tissue removal revealing a sleek new neck and jaw profile. Neck Liposuction is a minimally invasive procedure that can be performed individually or in combination with other rejuvenation procedures. Many of our patients who were concerned that their “double chin” made them appear heavy-set or older, are thrilled with their rejuvenating and healthy neck liposuction results. It would be our pleasure to see you for a complimentary consultation with our Facial Plastic Surgeon Dr. Bassichis to see if Neck Liposuction would be beneficial for you.